What do you send someone who already has everything? This very question was asked when this piece was designed for the exclusive American Express Black Card. The first in a series of mailings aimed at a select group of small business owners contained a custom CD holder which housed a special invitation and marketing material. The response rate was nearly 10%. Not bad considering the annual fee was $2,500. This high-end piece was sent to non-responding small business owners. The best way to illustrate the value of the card was to provide a sample itinerary of one of the cities the prospects may frequent on their business journeys, in this case Milan. 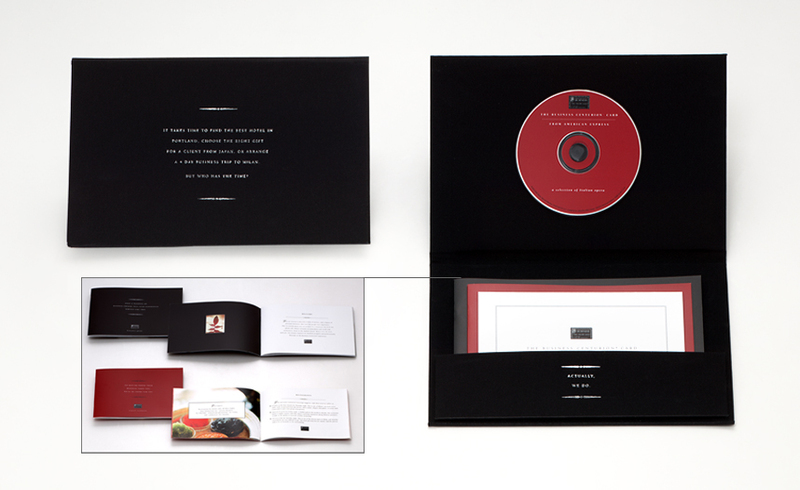 This sample trip to Italy was accompanied by a CD of Italian Opera to bring the experience to life and to harken back to the previous mailing with the CD holder. The client was ready to sing an aria with a response rate of 3.75%.